Curriculum is a large and complex concept, and term itself is used in a number of different ways_ program study or science curriculum and syllabus. A formulation of the intention or aim of the curriculum which is accessible to critical scrutiny. 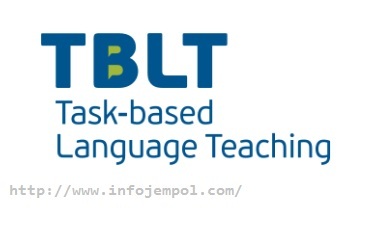 The relationship between communicative learning teaching and task-based language teaching are synonymous. It’s argued that CLT is a broad, philosophical approach to the language curriculum that draws on theory and research in linguistics, anthropology, psychology, and sociology, whereas task-based language teaching represents a realization of this philosophy at the level of syllabus design and methodological. In a seminal publication, there two types of approaches to syllabus design those are synthetic and analytical. All syllabus proposals that do not depend on a prior analysis of the language belong to this second category. Experiential learning takes the learner’s immediate personal experience as the point of departure for the learning experience. It has disserved roots in a range of disciplines from social psychology, humanistic education, developmental education, and cognitive theory. Task-based language teaching was still innovation at the level of official policy and practice. If official documents are to believed, TBLT has become a cornerstone of many educational institutions and ministries of education around the world. One way of dealing with this tendency is to sensitize learners to their own learning processes by adding to the curriculum a learning strategies dimension that should be possible for learners to make choices about what to do and how to do it. This implies a major change in the roles assigned to learners and teachers.